You can reach TUM FSD via the Autobahn A9. Exit at Garching-Nord and follow the signs to Forschungszentrum/TUM. Alternatively, you can reach the research center via Bundesstraße B11 (Federal Highway). 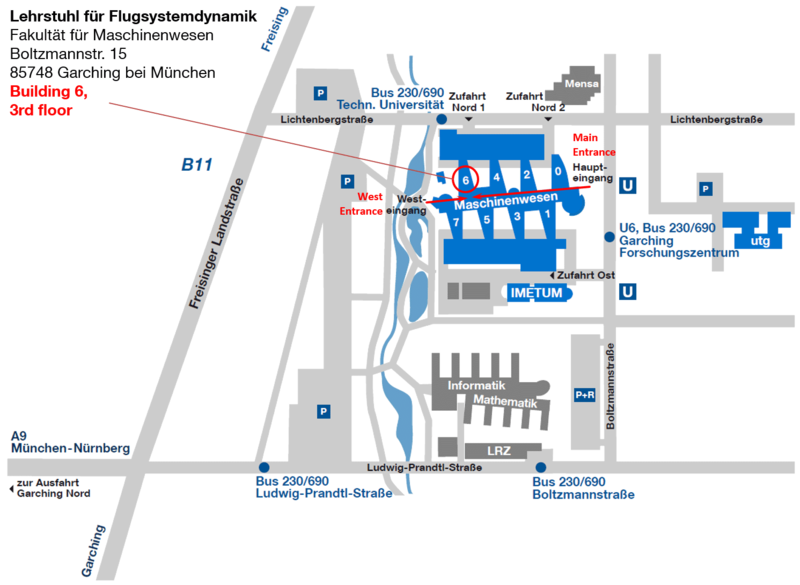 From Munich Airport, you can reach TUM FSD by taking the S-Bahn line S1. At Neufahrn, transfer to bus line 690, which will take you to Garching Forschungszentrum. Alternatively, you can take the S-Bahn line S8 and transfer to bus line 230 at Ismaning. From Munich city center (e.g. 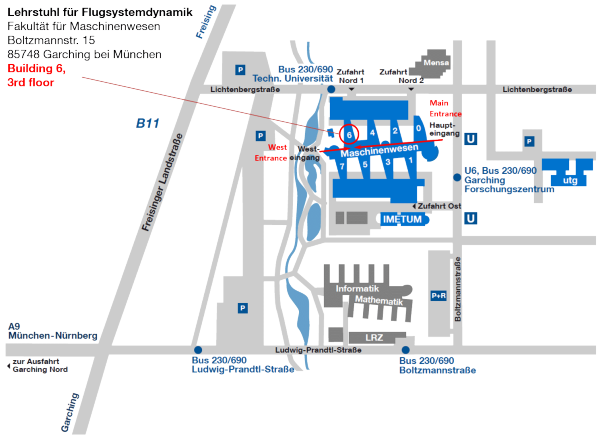 Marienplatz) you can reach TUM FSD by taking the U-Bahn line U6 towards Garching Forschungszentrum (end of the line). For more information on public transport in Munich, see http://www.mvv-muenchen.de/en/. For more information on how to get to the Garching research campus, see here. You can also download the directions in PDF format.